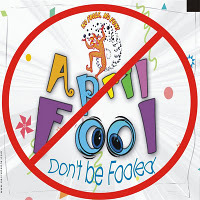 April Fool is celebrated ( celebrated is not the exact word i think) on the first day of April, but definitely it goes through out the month for majority of people. To wish, or send or to tease others, here are some of the funny SMS which you will like definitely. The tradition of celebrating this day is observed differently in different countries for example in UK, South Africa and Australia people play these pranks and jokes only until noon and if someone plays them beyond that he is called the ‘April Fool.’ In countries like Canada, Italy, Japan, Russia, US and France the jokes last all day.